Above you will find our Calendar of Events for the current month. 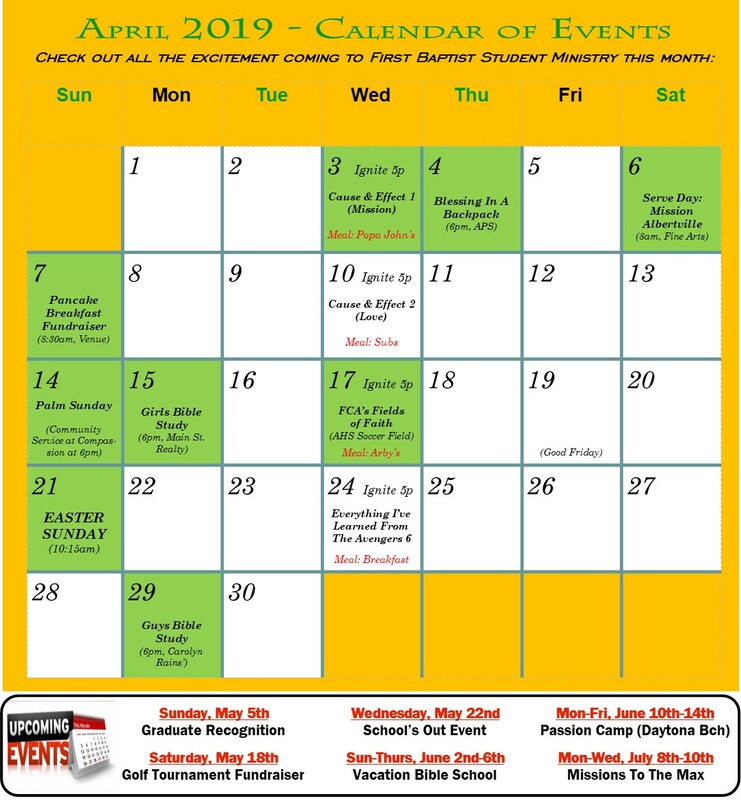 Click HERE to view our church calendar as a whole or click HERE to see our FBSM calendar in this month’s NETMA Newsletter. Any questions about any of the events listed here? Please feel free to contact Pastor Justin at 256-744-3355 or 256-878-2291.